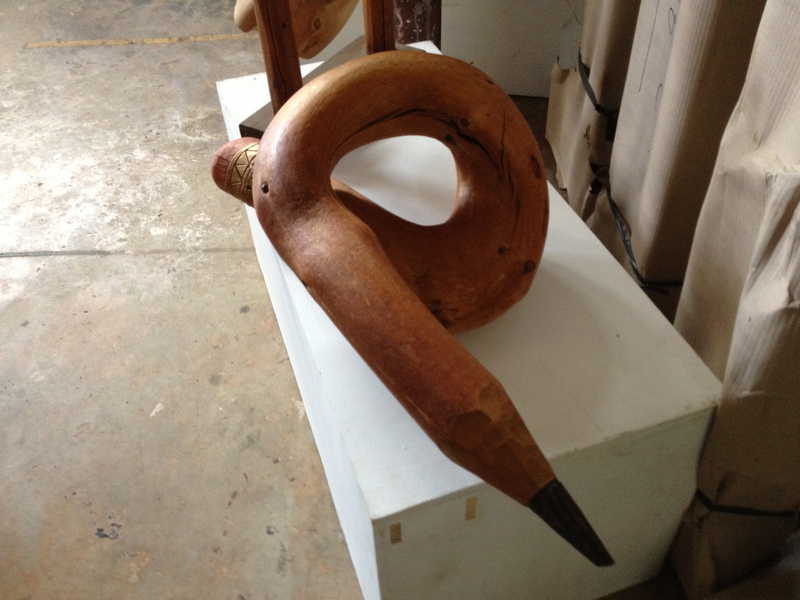 I went to a talk with Singaporean Sculptor – Chong FahCheong on 2 March 2013. 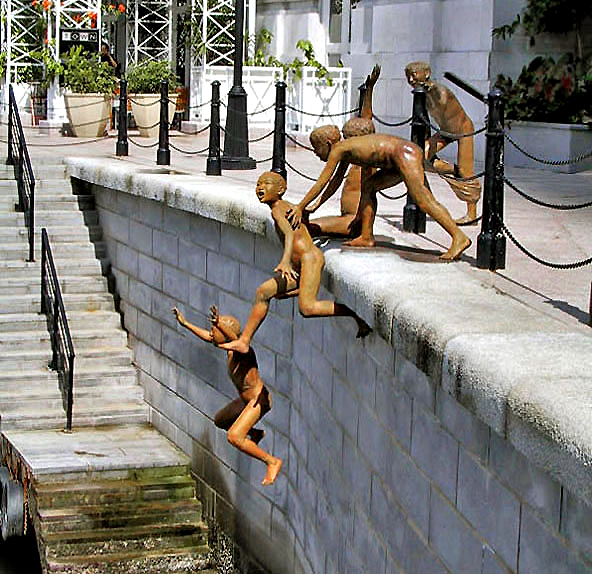 He is the sculptor for the very famous sculpture, The First Generation, by the Singapore River. FahCheong is a sculptor who works with wood, stone and bronze. He is a Singaporean but he has lived in Canada for the last 23 years. Writers Block is a sculpture made out of wood. It looks like a pencil which as been bent into a loop. I tried to carry it but it was really heavy. The tree trunk used for this sculpture had a natural loop because when the tree was young, another tree fell on it and it grew around the fallen tree. When working with bronze, FahCheong did people sculpture. He has to learn about the body structure. With Bronze Sculpture, FahChong has to first make a hollow clay model before he pour melted bronze onto the model. FahChong uses a electric stone cutter for stone sculptures. However, he has to wet the stone to cut it. But he cannot used it when he had wet feet because he would get an electric shock. So as long as his feet are dry, it is fine even when his whole body is wet. FahChong said he has to be careful when he works with wood because of he easily get splinters and also would easily make a mistake. If he gets a hair line crack in any of his wood sculptures, he would have to dispose of the unfinished work. find it very bothersome to inform the truth then again I’ll definitely come again again. Thank you for your comment. I will try my best, please understand that I am only 12. By the way, your ‘sculptors’ is spelled wrongly, and you meant you “too find it very bothersome to inform me of my mispelling”. This is a great post, well done you have found out a great deal about the Artist and his art form. It really is very detailed and perfect for Part B of your Arts Award Discover. Do you think you would like to try creating a sculpture? If you could which of Chong FahCheong’s techniques would you use, wood carving, stone carving or bronze casting? Yes, I would but I prefer to use clay. If I have to choose, then wood carving is my preferred option.